Home Blog Software Testing Methodologies: Which One To Choose? Just as the process of software development, the phase of software testing is also based on a specific methodology. Various combinations of principles, ideas, methods, and concepts that help you during the working process is what we have in mind when using this term. Nowadays, there are dozens types of software testing methodologies each with different start points, duration of execution, and methods that are used in each step. Choosing the proper one can be a harsh experience. We have recently described top software testing firm and bespoke software solutions, so it’s time to clarify all important points about software testing. In this article, we’ll talk about different approaches to the software testing process, their basic features and ask the question: What are software testing methodologies? to orient you in this diversity. Waterfall is one of the oldest models that can be used not only for the software testing needs. Its basic principle is a sequential order of steps. It means that we can move to the next step of development or testing process only after the previous step was completed successfully. This model is applicable for small projects only in case if all requirements are clearly defined. The main advantages of Waterfall are cost-effectiveness, the simplicity of using and documentation management. Software testing process starts when the development phase is completed. On this stage, all necessary types of tests are carried out from unit to system testing to control the performance of components separately and in the complex. Besides the mentioned advantages, this software testing approach also has its weak sides. There’s always a possibility to find some critical bugs during the testing process. It can lead to the necessity to change one of the components of your software completely or even change the whole project logic. But such task is impossible in the case of Waterfall since returning to the previous steps is prohibited in this methodology. Learn about waterfall development methodology from our previous article. Just like the Waterfall Model, V-shaped life cycle model is based on the direct sequence of steps. The main difference between these methodologies is that testing is planned in parallel with the corresponding development phase. According to this software testing methodology, the process begins when requirements are ready, so we can perform static testing – verification and review, that helps to prevent possible defects on the latest stages. A corresponding test plan is created for each of the software development levels, which determines the expected results as well as entry and exit criteria of the product. Requirements phase. Acceptance testing is related to this phase. Its main purpose is to evaluate if the system is ready for the final usage. High-Level Design phase relates to System testing and includes evaluation of the compliance of specified requirements to the integrated system. The Detailed Design phase is parallel to the Integration testing that checks the interactions between different system components. After the Coding stage begins the another necessary phase – Unit testing. It’s important to make sure that behavior of individual parts and components of your software is correct and meets the requirements. The only disadvantage of V-Model is the absence of clear solutions that help eliminate the software defects found during the testing phase. This methodology can be described as multi-waterfall-model of software testing. The whole incremental process is divided into the various number of cycles. Each of them is also divided into the smaller modules. Each iteration adds a specific functionality to the software. An increment includes three cycles: software designing and realization, testing, and implementation. In this model, simultaneous development of different product versions is possible. For example, the first version can pass the testing phase while the second one passes the development phase. The third version in its turn can pass the designing phase at the same time. It continues until the project is finished. It’s obvious that this methodology requires finding the maximum possible number of errors in your software as fast as possible. Just as the implementation phase requires the confirmation if the product is ready to be delivered to the final user. All these factors significantly increase the requirements severity for the tests and load testing infrastructure. Comparing to the previous methodologies, this one has a great advantage. It’s more flexible, it’s cheaper to change the requirements, and the software testing process is more effective since it’s easier to test and debug if you use smaller iterations. Nevertheless, at the same time, it is obvious that the total cost is higher than in Waterfall. Once the first cycle is completed, the second cycle starts. Software testing starts from planning and lasts until the evaluation phase. The main advantage of spiral methodology is the immediate test feedback that is ready at the third stage of each cycle and helps to guarantee the correct quality evaluation. However, it’s important to keep in mind that this model can be pretty costly one and it’s not suitable for small projects. Despite the fact that this model is quite old, it remains useful both for testing and software development. Moreover, the main goal of many software test methodologies, including the Spiral Model, has changed recently. We do not use them solely for finding defects in applications but also for figuring out the reasons that cause them. 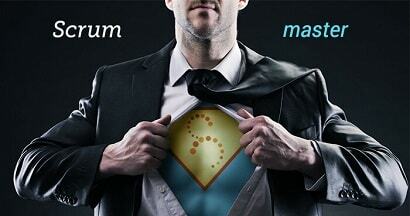 Such approach helps developers to work more efficiently and remove errors quickly. Learn more about the spiral methodology. Agile software development and testing can be described as series of approaches oriented to the use of interactive development, dynamic formation of requirements and ensuring their implementation as a result of constant interaction within the self-organized working groups. The majority of software development agile methodologies are aimed at minimizing the risk by developing information for short iterations. One of the main principles of this flexible strategy is the possibility of quick response to the possible changes rather than long-term planning. 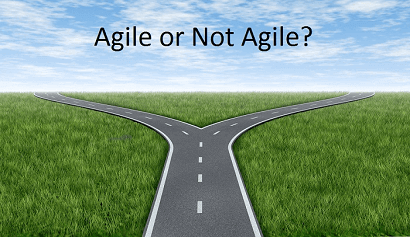 Learn more about agile methodology in software development. XP or Extreme Programming is one of the examples of flexible software development methodologies. A distinctive feature of this method is “pair programming,” the situation when one developer works with the code and his colleague at the same time continuously reviews the newly-written code. The software testing process is pretty important as it starts even before the first line of code is written. Each application module should have a unit test, so the most of the errors can be fixed on the phase of coding. Here’s another important principle. The test determines the code and not vice versa. It means that a particular part of the code can be considered as the completed one only if all the tests are passed successfully. Otherwise, it will be rejected. The main advantages of such methodologies are constant testing and small releases that can ensure the high quality of the code. But at the same time, it’s considered that here defect documentation is not on the high level and not always good, so this lack of software quality can conduct to the resembling bugs in the future. Moreover, the members of the QA team must be present at all daily meetings as the other members of your team to speak up about what was tested and done yesterday, what will be tested today, and tell about the overall software testing progress. 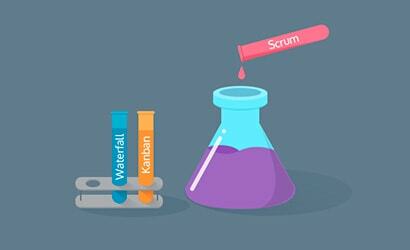 Read more about scrum in agile methodology. In conclusion, it’s important to mention that today the practice of using the latest testing methodologies implies the multiversal approach. There’s no such thing as one suitable methodology for all types of projects. The choice of one of the existing methodologies depends on many aspects such as the type of the project, customer requirements, project schedule and others. 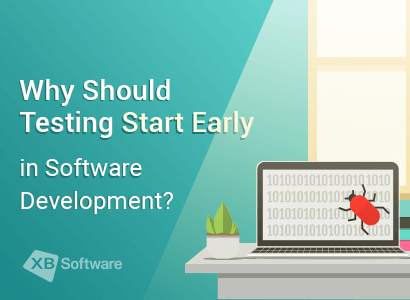 From a software testing perspective, some methodologies push for testing input early in the development lifecycle, while others wait until a working model of the system is ready. If you need help with custom software development and quality assurance, a dedicated web development and QA team of XB Software can take care of it. QA engineer at XB Software. Her favourite saying is "in God we trust the rest we test" that she applies in her daily work.